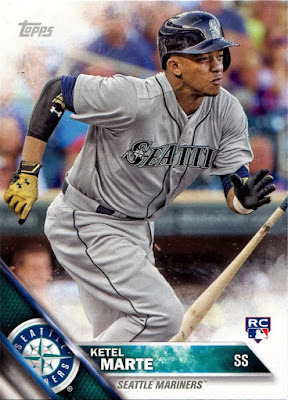 I actually opened up a box of 2016 Topps Update when the set was first released in mid-October. I opened up my packs and set them aside so I could sort them later. "Later" actually turned into a month when I finally had the time to go through 500 cards. I don't feel busy but it always seems that the hours after work disappear quickly. 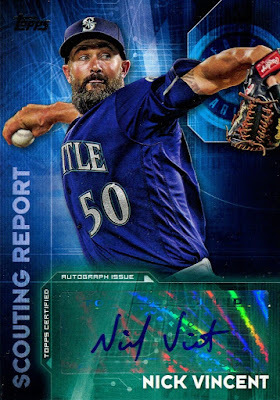 With this being end of the baseball year after I re-joined the hobby earlier this year, I figured I would close the book on 2016 with a box of Update. I actually still need to finish collecting Series 1, though. That will give me a good off-season project. 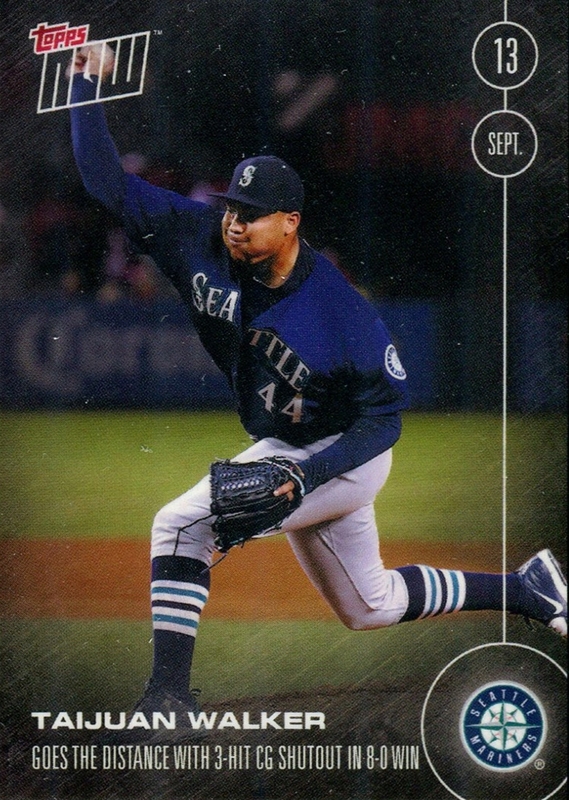 A very well deserved inclusion in Update for Edwin Diaz. 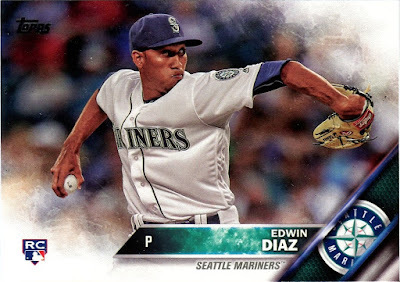 Diaz moved directly from AA to the Mariners in June and threw nothing but fire. He recorded his 50th strikeout after throwing 25 1/3, which made him the fastest pitcher to reach 50 strikeouts since 1893. 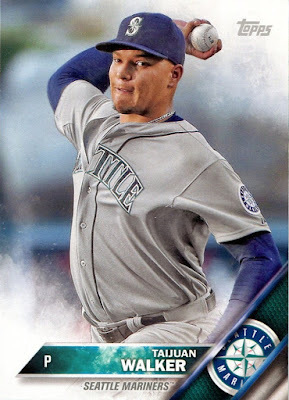 He also finished the season with a rate of 15.3 strikeouts per 9 innings. Diaz didn't assume the closer role until August 2nd and managed 18 saves. He was 5th in Rookie of the Year voting. I'm excited to see how Diaz progresses in 2007. 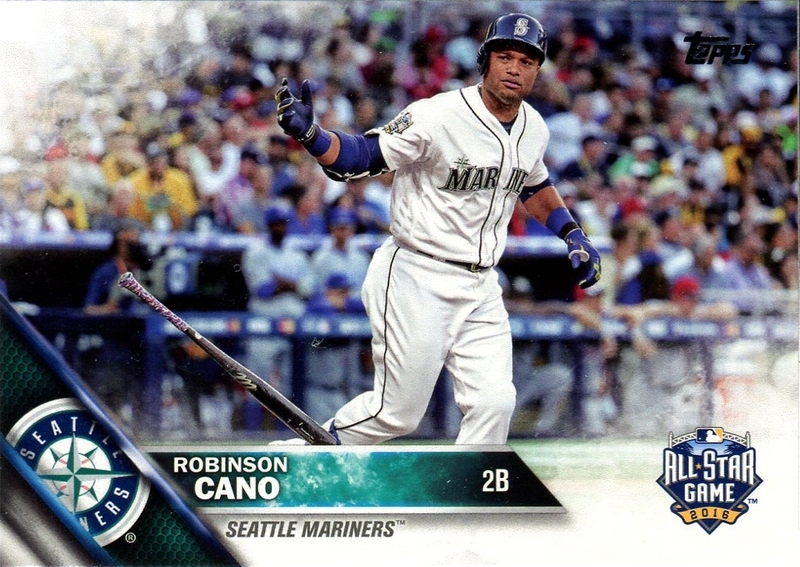 Robinson Cano was the lonely all-star for the Mariners this year. That's not to say that the rest of the team wasn't any good. Rather the usual potential all-stars like Felix, Kyle Seager, and Cruz had some bumps in the road toward the beginning. 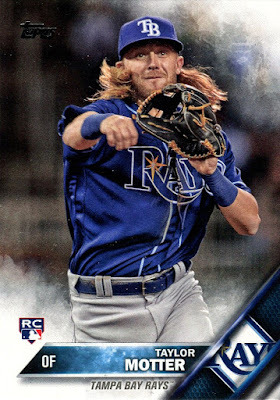 Taylor Motter rookie card!! Who is Taylor Motter you ask? Until Friday afternoon I had no idea either. 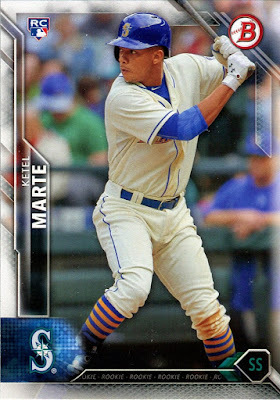 The Mariners traded for Motter, along with Richie Shaffer, in exchange for three minor leaguers. This move appears to be a depth move. Out of the 25 or so short prints, I hit one of the lesser exciting ones. 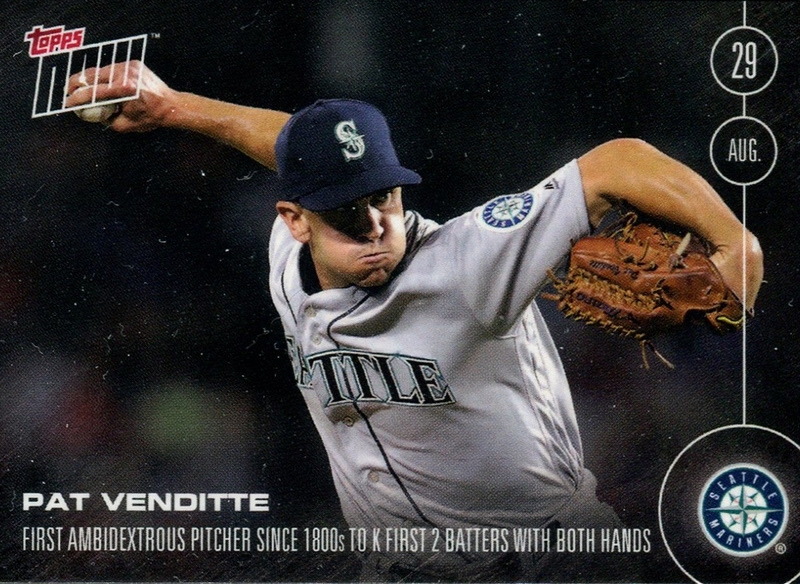 In 10 starts he didn't get a single win and had a bloated ERA of 7.36. 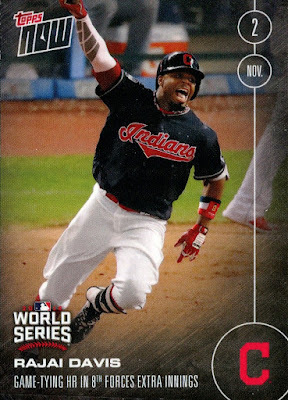 Apparently, these run 1 out of 1,224 packs so I glad to have at least pulled one with these odds. 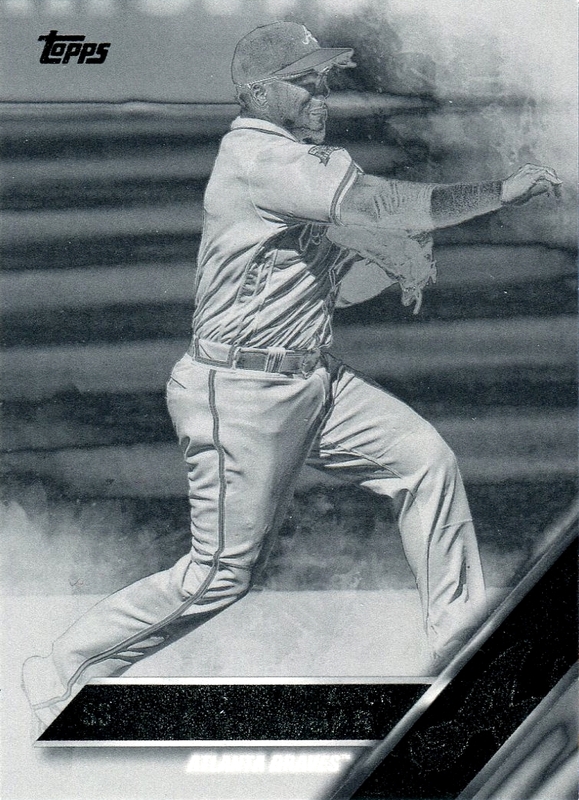 Notable parallels included a black Xander Bogarts (#'d/65), black and white negative of Erick Aybar, and a rookie gold of Aledmys Diaz (#'d/2016). 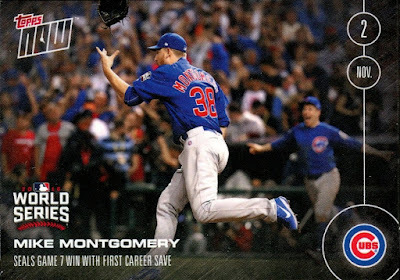 The black and negative parallels occurred only once in my box and the gold parallels were one per pack for a total of 10. 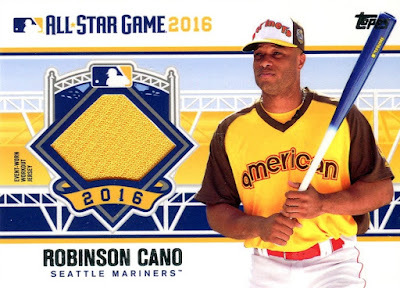 My first hit was an All-Star Game Dual Stitches relic! This was a nice short printed card to only 25. I like the look of the ASG relics so I was excited to get a dual patch. 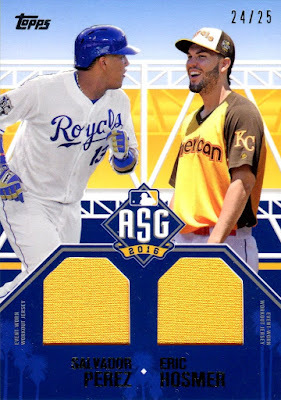 Even better, the odds on the dual relics are 1:1,008. My luck with hobby boxes isn't usually this good. Seeing as how I pulled a hot card during the initial opening of the product, I threw it up for sale on eBay. 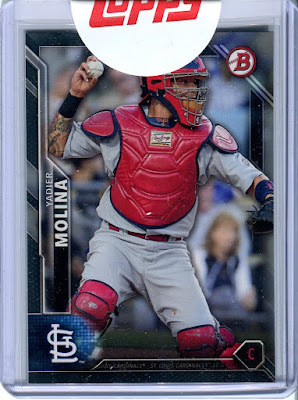 I couldn't resist the opportunity to make some money back on my box and buy a relic I had more interest in. 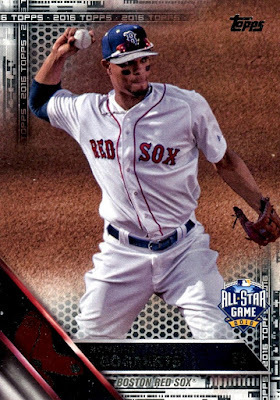 After a 7-day auction, the card sold for $42.50. 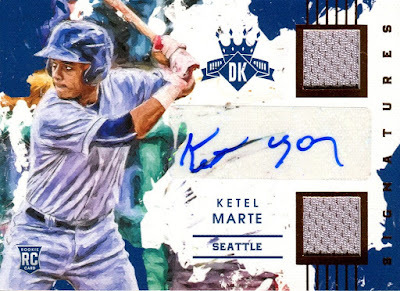 If I thought I got lucky with the dual ASG patch, I think I was even luckier with buying this First Pitch relic numbered out of 25. When I looked for it on eBay a few weeks after release, there was an auction starting out at $4.99. Surprisingly, I was the only bidder. I couldn't believe it considering other First Pitch relics were going for at least $20-$40. For a card that has odds of 1 per 1,506 packs, I pretty much stole this card. The only All-Star relic I was hoping to pull was the Cano relic. Although it wasn't in my box, it was another cheap buy on eBay. My second relic card of the box was an Al Kaline 3000 Hits Club Medallion. Usually, I don't mind manufactured relics but the weird flowery background is not appealing. Why did Topps give Vincent a unibrow? The Nick Vincent autograph was the card I hoped to pull. Even though it wasn't in my box, it was an inexpensive eBay purchase for only a couple dollars. It can be tough being a Mariners fan with all the heartbreak but on the flip side, not everyone is trying to chase their cards making them cheap. That wraps up Topps flagship! It has been a fun year collecting baseball cards again. As I look forward to 2017, it's hard to know whether I'll try to collect the full flagship set. Right now I don't like the design. This year's set didn't grab me a first either so it's possible things will change. One of my wife's friends is visiting from out of town this week on a business trip so we all went out to dinner at an Italian restaurant. Everything was going swimmingly. We were all catching up and eating good food. About three-quarters of the way through our dinner, the restaurant started filling up with smoke. There wasn't a fire but the kitchen had badly burned some food. I could never figure out what caused the smoke but I suspect it was a pizza in their oven that burned. No matter the food, the smoke would not dissipate. My eyes were burning and my chest felt heavy. Worst of all? There was nary an apology over the smoke storm they created and it was obviously affecting other patrons as well. If their restaurant could not even handle smoke from the kitchen, I question whether the place could safely manage a fire. Needless to say, I won't eat there again. I could not run out of that restaurant fast enough to get fresh air. It felt so nice to be able to breathe again and find relief. 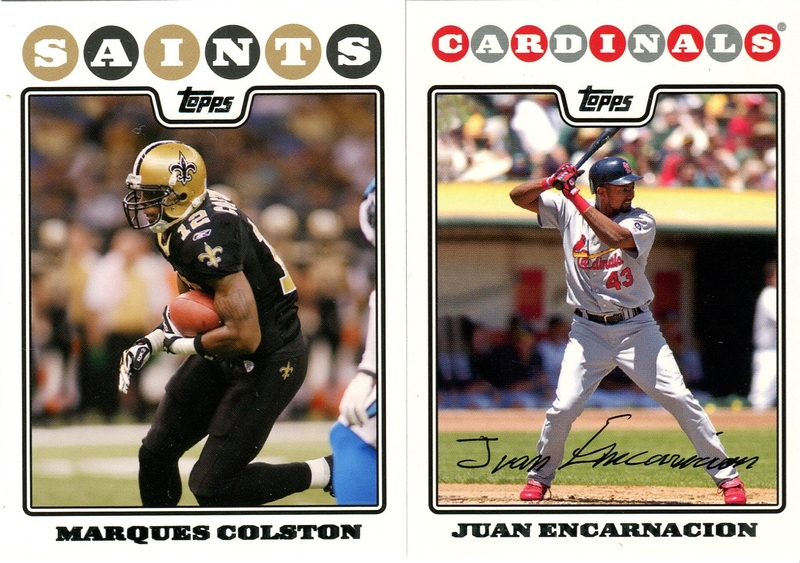 Speaking of running, today's post highlights a trade I made with Trevor at Bump and Run Football Card Blog. He posted on my blog indicating he had a few 2008 Topps Football to trade. 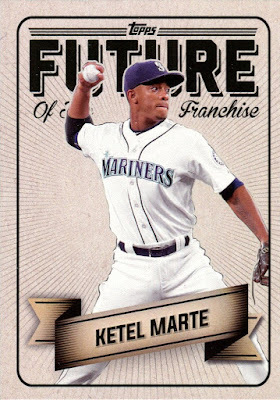 I can't turn down an opportunity to collect more 2008 Topps so we settled on a nice trade. 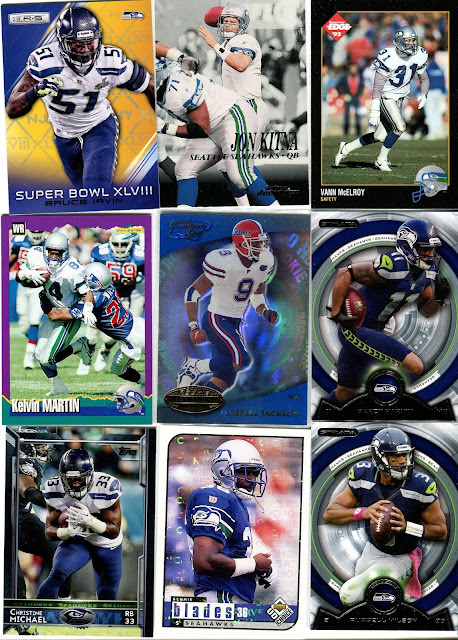 As the name implies, Trevor posts mainly about football so our trade focused on football cards. You can see what I sent him over on his blog. 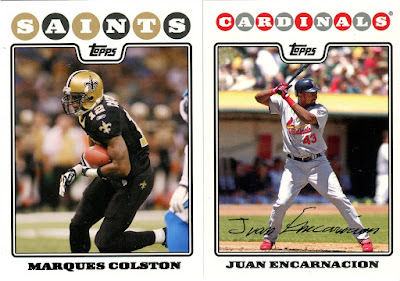 Getting the 2008 Topps out of the way, I received a few football set needs. Trevor also included some baseball as a bonus! I haven't checked whether I needed them or not but either way the gesture is appreciated! 2016 Classics is a set I've really enjoyed this year with the retro look. Both of these rookies were signed by the Seahawks with only Alex Collins making it on the roster. He's had limited playing time so far this year. During my previous look at Prestige I remarked that outside of the Seahawks, I wouldn't be collecting any more Prestige. Well here comes Prestige again, thankfully with only Seahawks. 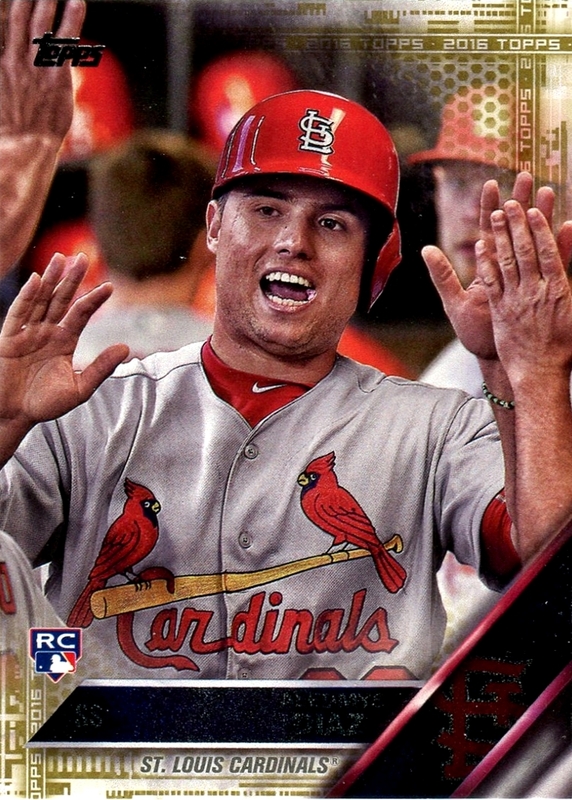 The two rainbow foil cards are Extra Points parallels. This year Lynch's absence is glaringly obvious. The Seahawks' run game just hasn't been the same. Thomas Rawls, the heir to Lynch's throne, has been injured for most of the year. Hopefully, he will provide a spark to the anemic run game. 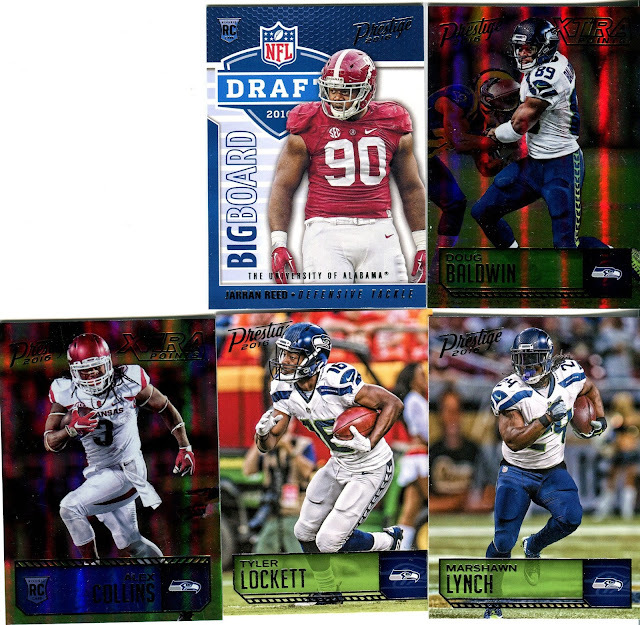 The last set features a nice mix of new and old Seahawks cards. I didn't become a Seahawks fan until I moved out west from New England so some names aren't familiar, like Vann McElroy and Kelvin. Other older players like Jon Kitna, Darrell Jackson and Bennie Blades are names I immediately recognize. 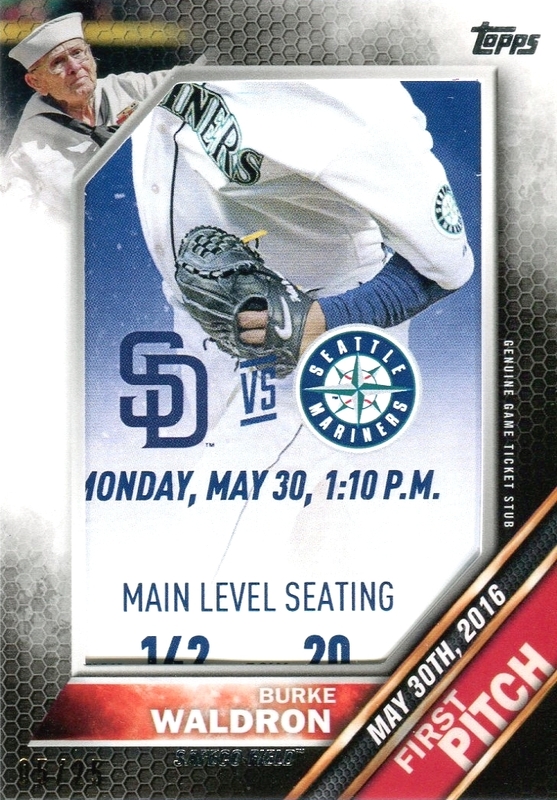 The Blades and Jackson cards have writing throughout the background that shows up slightly on the scans. It's a cool looking effect in person. Out of the four modern Seahawks players, coincidentally all four were part of the Super Bowl winning team. This was a great trade with some set needs and PC needs completed. 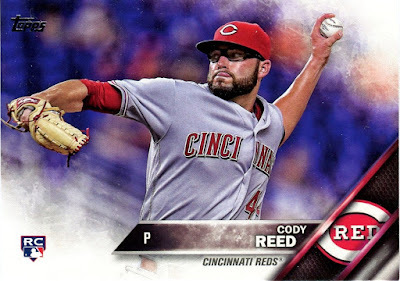 I look forward to trading with Trevor again! I've been sick since Thursday and I'm starting to feel better now that I've had plenty of rest but I wanted to highlight today's today mail day. Today I received my first ever "No Purchase Necessary" card. 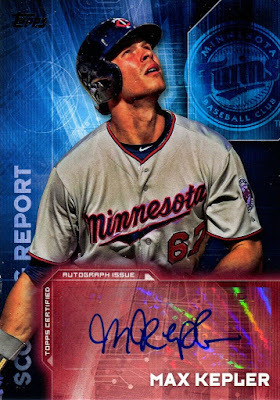 If you aren't aware, on every package of cards is a list of insert/parallel cards and for Topps products, the odds of receiving those cards. 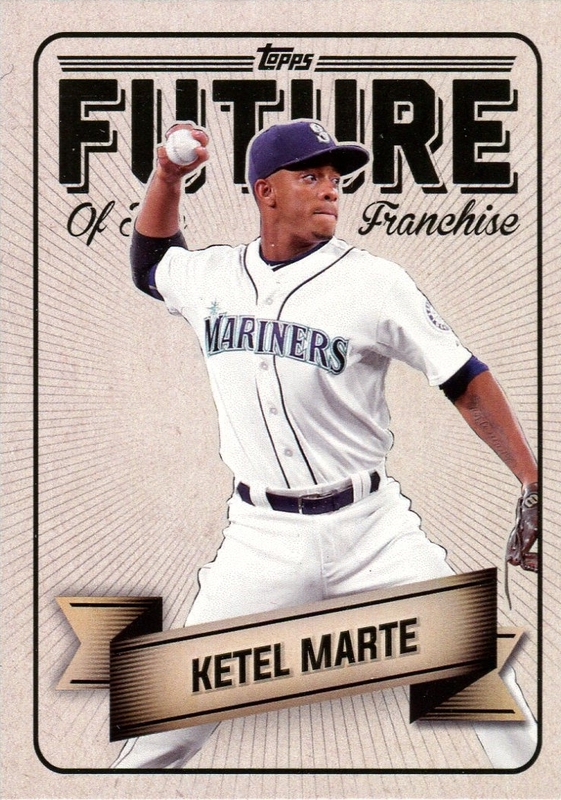 By law, the trading card companies are required to offer the purchaser a chance to win those cards. The same rules apply to other products that give you the chance to win something by buying a certain product. To date, I've submitted 17 entries for NPN cards. I do not keep track of when the drawings occur because I'd rather be surprised instead of checking my mail after the drawing occurs. So it's possible that out of the 17 entries not all of them have had their drawings. With all that said, what did I win?? 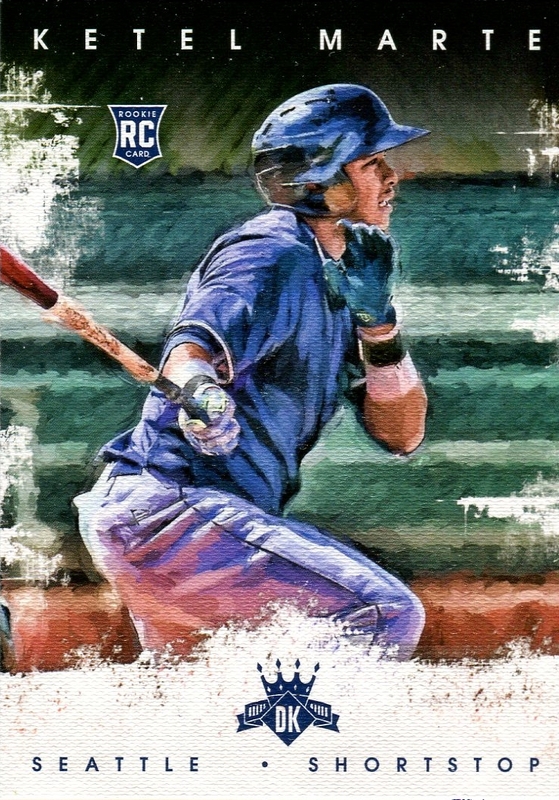 A base card of 2016 Bowman. Even though it is just a base card, at least Topps protected the card well. 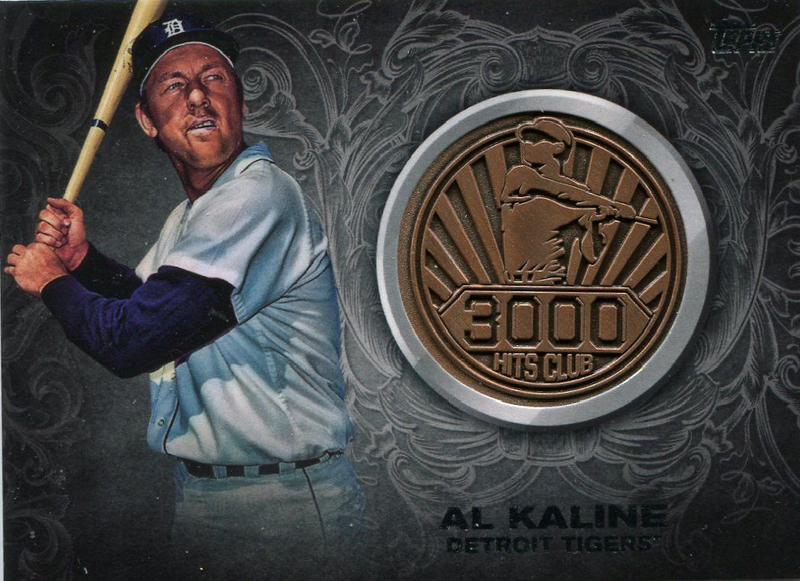 A toploader, penny sleeve, and sticker are likely worth more than the card itself. 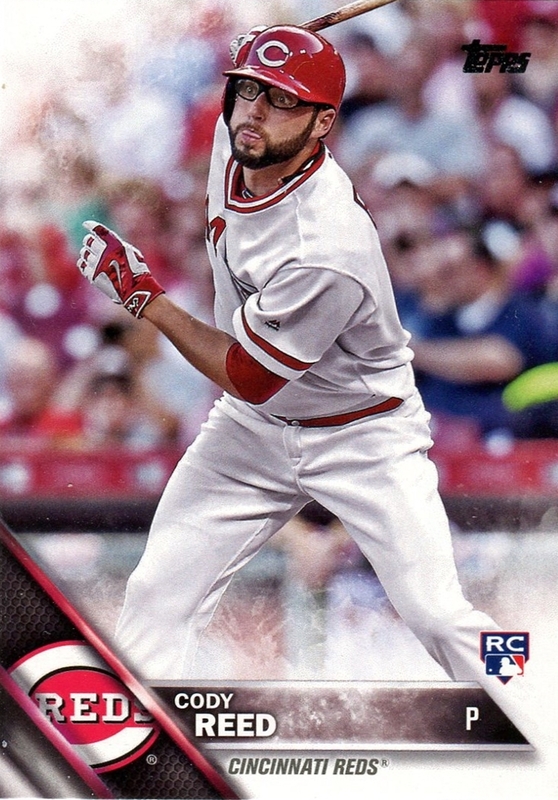 This was a base card I needed so I can't be too disappointed. Rather than breaking out the card, I think I'll keep it secured as a memento for my first NPN win. I wanted to add that even if you don't buy new packs of cards there is a great website that tracks most of the NPN entries. 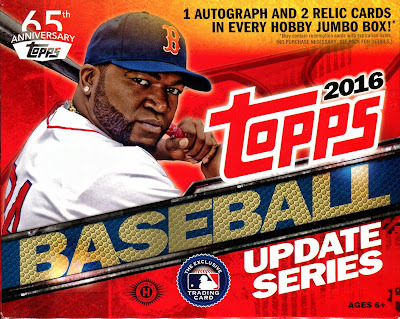 Head over to NPN Cards to find out all the details for how to enter.